My Max Mara outfit that I wore for their show is probably my favorite Milan Fashion Week look and the less planned one. I honestly just had 5 minutes to decide what to wear and it turned out very good – lucky me! I arrived in Milan the night before my very first show – Max Mara – unpacked my delivery of the brand with my outfit in it. I knew the whole look and was super happy to wear it to the show, but didn’t paid 100% attention to it. Then the next morning, when I got ready, I saw that it´s a jumpsuit and not as I thought wide leg pants, a knit and a coat. In addition it was quite warm. Therefore I had to be super quick and challenge another look with these pieces. Because of the weather conditions I decided to go with the Max Mara coat and turtle neck. I just added my favorite pair of highwaist jeans, stuck the knit to a cropped one and I was ready to go. 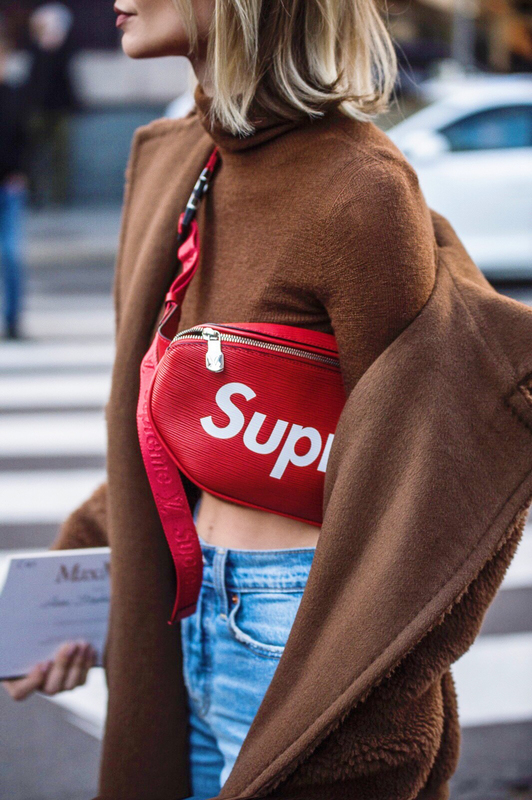 I just needed a pop of color and went with my Supreme x Louis Vuitton belt bag. What can I say, I really adore this brand. I mean as a coat addict, I am obsessed with all the badass coats you see every season. But especially the materials and classy styles, the perfect business attire that I would wear everyday to the office. 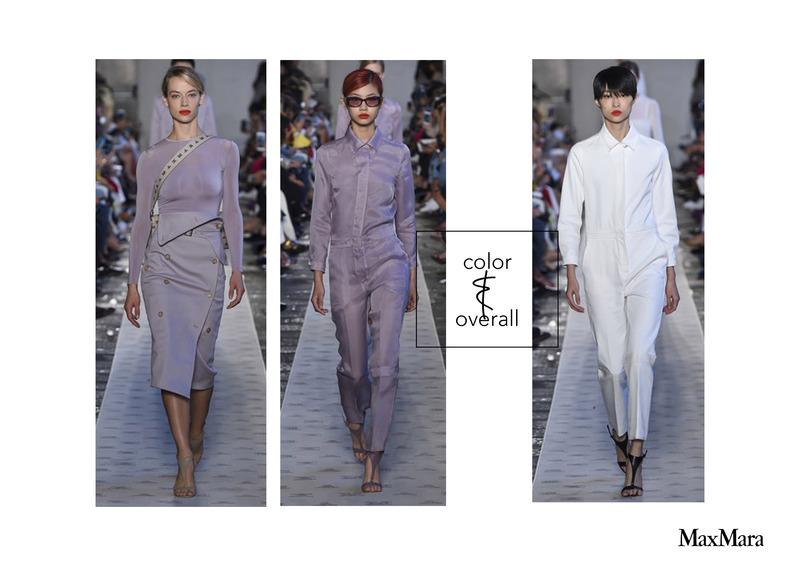 This season Max Mara presented a lot of new colors, prints and materials. My favorite thing: everything sheer with an urban touch. 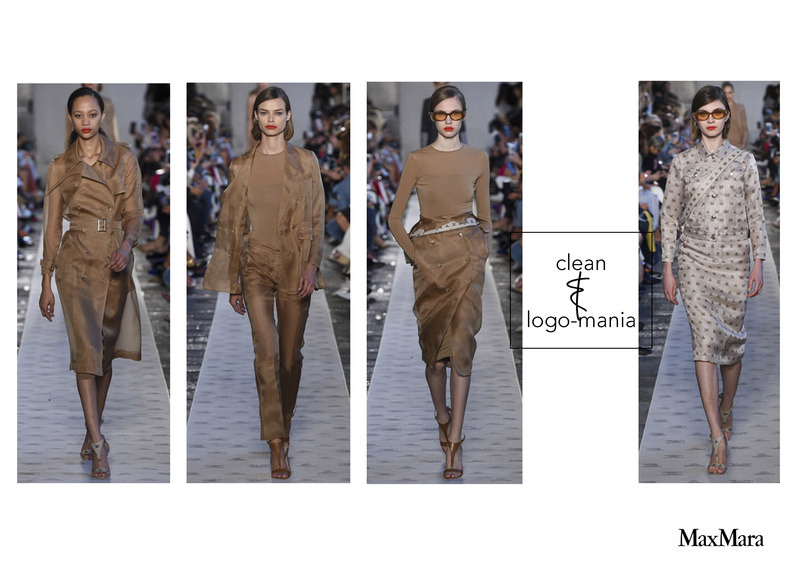 Max Mara jumping on the trend, doing logo again, presenting it as „new“ but it´s actually the new one going back to 1958. Ian Griffiths, creative director at Max Mara sticking to the shapes, repeating them in different colors and ending with floral prints. My favorite piece is definitely the trench coat inspired skirt, super skinny tops and long sleeves and the overall! Die Max Mara Kollektion ist echt super stylisch! Ich liiiebe Coats auch und die von Max Mara (und auch der passende Rock) sind echt schick.